Whether you are seeking higher athletic performance, suffering in pain from a recent injury, or eager to live life to the fullest, we are here to serve you and are committed to seeing you thrive in health! Our health team works to bring you and your family a holistic healing approach. Part of our care plan to alleviate conditions includes massage therapy. Massage therapy and chiropractic care work with your body's own healing properties to restore health and recover injuries. As part of treating the whole individual, we offer nutritional assessments. Find out what you can do to keep your immune system functioning at an optimal level! Corrective exercises are an important component of the healing process - helping to get stronger, improve flexibility, and avoid similar injuries in the future. We are here to teach you specific corrective exercises that will provide the maximum benefit for your health. Located in Royal Oak and Rochester Hills, our leading health professionals at Live Well Chiropractic are dedicated to helping you achieve your everyday wellness goals. Our approach uses non-surgical pain relief by combining traditional chiropractic methods, computerized adjusting through Pulstar technology, massage therapy, physical therapy, and nutrition counseling. 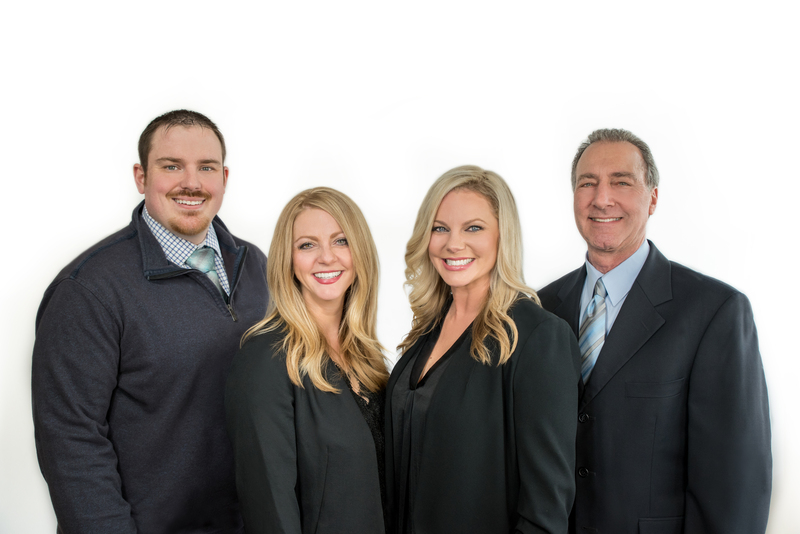 Dr. Allyson Grabowski, Dr. Meaghan Cromer, Dr. Kevin Caron, & Dr. Richard Woolman are committed to bringing you better health and a better way of life by teaching and practicing chiropractic wellness care. Our bodies are born with everything we need to heal and function optimally. Gray's Anatomy states that every organ, system and function of the human body is under direct control of the central nervous system. Our nervous system is called our master system. That means that it controls and coordinates every cell tissue and organ in our body. When our nervous system is fully functioning and free of interference, our body has an amazing ability to naturally heal itself from within, without the need for medication. Our compassionate, caring and personable team seeks the best results through a variety of chiropractic techniques and therapies. We take a personalized approach to your care, identifying potential areas of stress in the body, allowing for the creation of a customized plan for each individual. Our holistic view of your wellness looks at the whole person to develop a strategy that improves your body's function. Our team strives to help and change the health and well-being of each person that walks in our doors. It is our hope that through the care and education our patients encounter they become a part of our family and share their experience with others in our community. Contact us to learn how chiropractic care can help your family live to their fullest potential. We are voted 2014 top chiropractors by Hour Detroit Magazine! Hills for Chiropractic treatment and services as reviewed by patients. To receive the answers to your questions from our experienced team. We also welcome referrals, so we invite you to use the "Send to Friend" link to share our chiropractic and wellness information with your friends and loved ones. Dr. Kevin Caron grew up in Madison Heights, MI where he attended Lamphere High School before beginning his college career at Michigan State University. After obtaining a Bachelor's of Science degree from the College of Natural Science at MSU, Dr. Caron enrolled at Palmer College of Chiropractic, the world's premier program in chiropractic education. While in attendance at Palmer, Dr. Caron was the starting goaltender for the Palmer lacrosse team and spent extra time at seminars outside the class room studying various soft tissue techniques, extremity adjustment protocols, and total spinal rehabilitation programs. Currently Dr. Caron is in his 6th year of practice, his second at Live Well Chiropractic, and spends his free time working on his home and or various other hobbies with his family and friends. Dr. Rick Woolman graduated from Life Chiropractic College - West in 1985. He has been actively practicing in the metro Detroit area for over 33 years. Dr. Rick has been a sports enthusiast his whole life, and wanted to help others achieve better health and optimum performance through natural chiropractic health care. He joined the Live Well Chiropractic team in June of 2017. He is an avid bicyclist, and bowler. Dr. Rick has a 19 year old son, Tyler, and a 17 year old daughter, Julia. "Matt gave me an awesome massage today! He used perfect pressure and spent extra time working out the knots in my upper back. I feel so much better now, thanks, Matt!" "I was referred to Live Well by my sister Chris two weeks ago. Chronic back spasms made bending over and sitting impossible. I thought I was looking at another surgery from an old hockey injury. Thanks to the gentle adjustments, I am able to move again without pain. The entire staff is amazing, kind and professional. Cheers to a healthy spine!" "After years of seeing different chiropractors, Dr. Meaghan/Live Well Chiropractic is the absolute best!!! My children and I are reaping the rewards of excellent health through her care." "I was referred to Live Well by Ashley, my friend from work and have been coming for a few years now. The special, unique approach the doctors and massage therapists take with me is unmatched. Dr. Ally, Dr. Kevin, Therapists, Dazman and Erica are very special people who make my days brighter and life movements more manageable. I am so happy to have crossed paths with them all and you will be too!! Do yourself a favor and book an appt!" "I have been told nothing but wonderful things about Dr. Meaghan at Live Well Chiropractic. I went for my first visit today. I am 15 weeks pregnant, with my second child, and have been having terrible lower back issue for a long time. My former chiropractor wasn’t giving me relief. Dr. Meaghan was very thorough and friendly. She showed me where my back was out of alignment and gave me relief on my first visit! Even though I have some sort of disc issue, she was able to help. I am looking forward to getting some long term relief with the visits to come. I am so glad I found a doctor who is taking care of the health of me and my unborn child." "The staff is fantastic -- They are always welcoming and make you feel right at home. After a snowboarding accident - I threw my back completely out-- I literally couldn't move without pain. Although I'm guilty for not always following their advice but In less then 2 weeks with Doctor Allyson I was back to exercising with NO PAIN. Thanks for all the help." "Best chiropractors I’ve ever seen, they’ve helped me live the active life I want to live, with minimal to no pain. Thanks Live Well!" "These doctors put me back together when I break. When I hobble in, they make it so I can walk out. They also are able to carefully adjust my neck even though it's been fused. Truthfully I'll never go anywhere else!" "I suffer with chronic nerve pain in my head and Dr. Meaghan has gone above and beyond to help make it manageable! The massage therapist at the office are also fantastic too!"